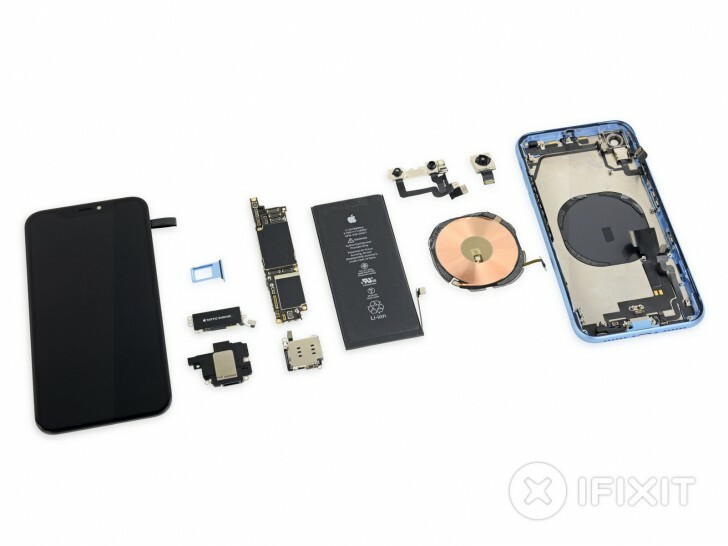 iFixit is out with another teardown and unsurprisingly, it’s about the newly released “budget” iPhone XR. There’s a video going through the process of disassembling the handset and also a full step-by-step guide at the source link below. But you are probably here to see how easy it is to repair it if the screen gets damaged or the battery dies after some time. Well, the good news is that Apple continues to make the screen and battery repairs a priority and just like the iPhone XS and XS Max, the XR’s front panel can be popped off without needing to detach the Face ID module. iFixit also points out that the waterproofing complicates the whole process of disassembly but it looks like it’s done right so water damage repairs are less likely. The use of uncommon screw standards is another thing that keeps the repairability score low but the biggest issue with the phone would be the fragile glass sandwich design. Having said that, iFixit gave the phone a score of 6/10 – the same as its more expensive siblings the XS and XS Max.